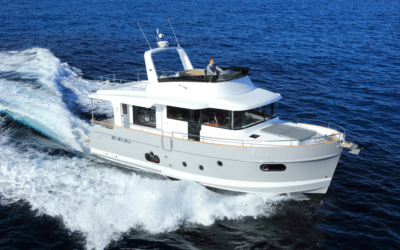 The newest member of the long-distance cruiser group, the Swift Trawler 30 harmoniously blends seaworthiness with timeless style. 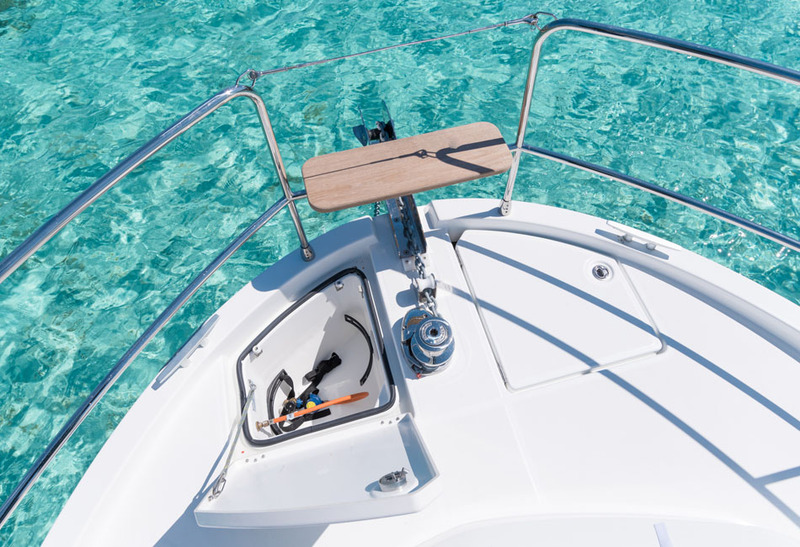 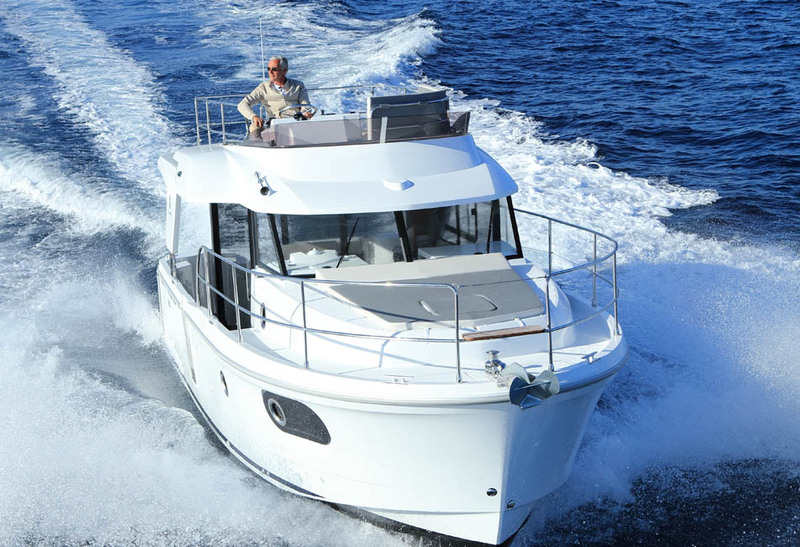 This liveaboard boat utilizes numerous innovations and is unbeatable in autonomy. 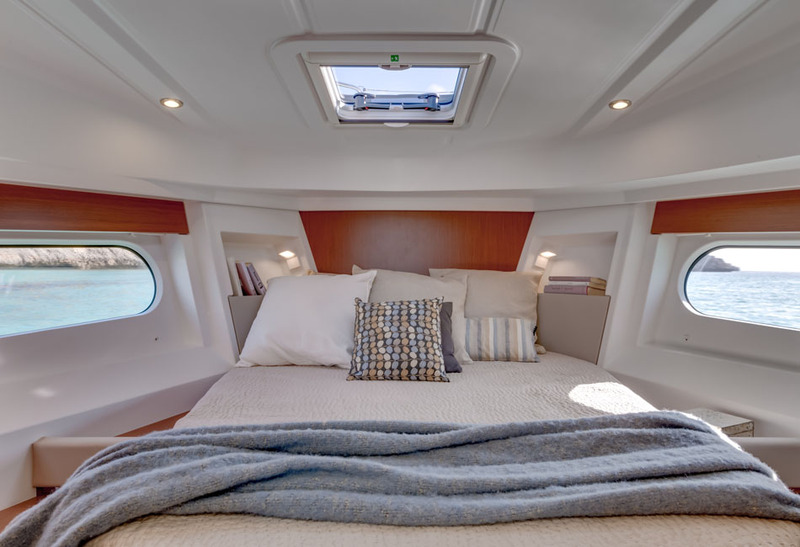 She’s built to be taken on long distance cruises, with amenities that make for comfortable stopovers. 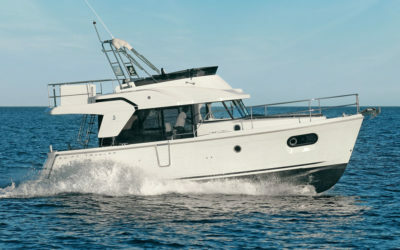 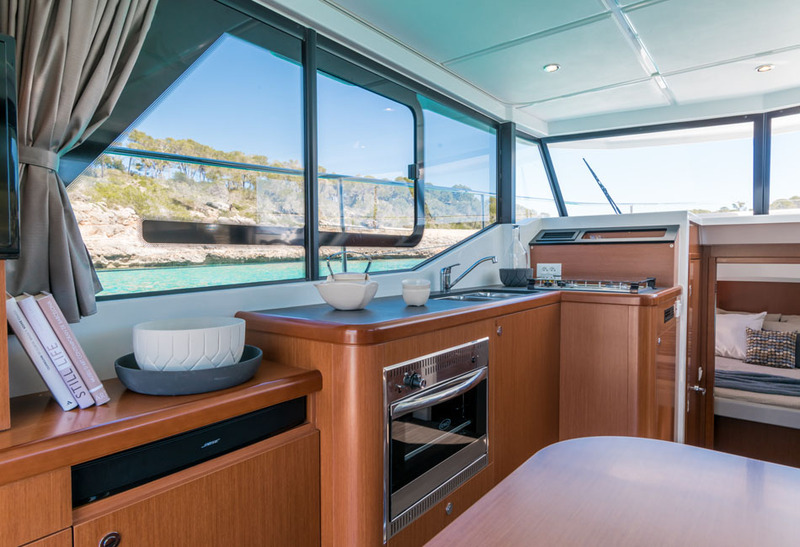 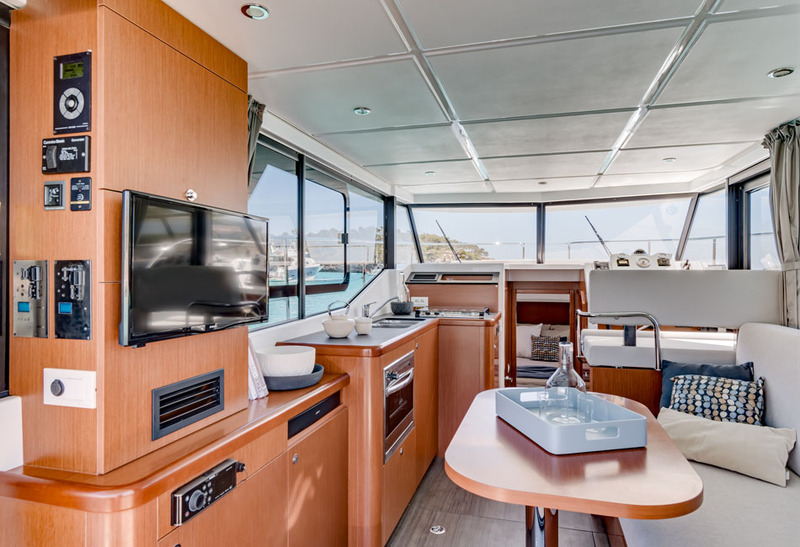 The Swift Trawler 30’s exterior is designed with contemporary lines that separate her from the rest. 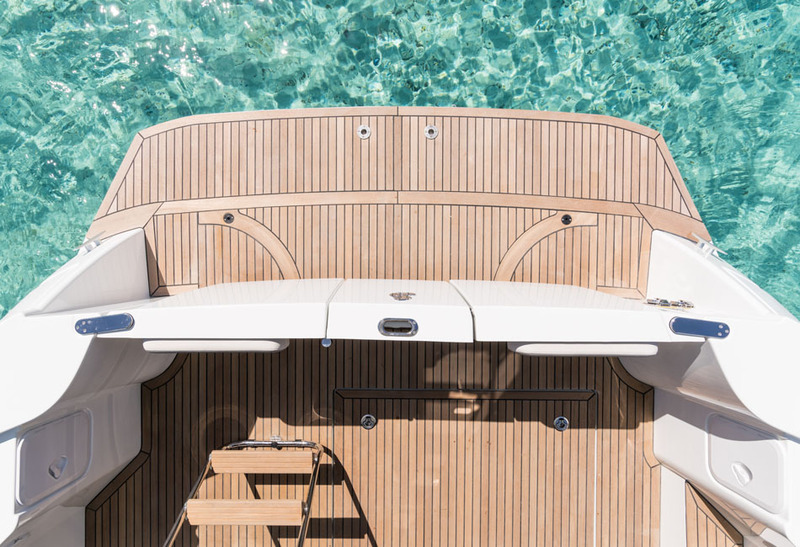 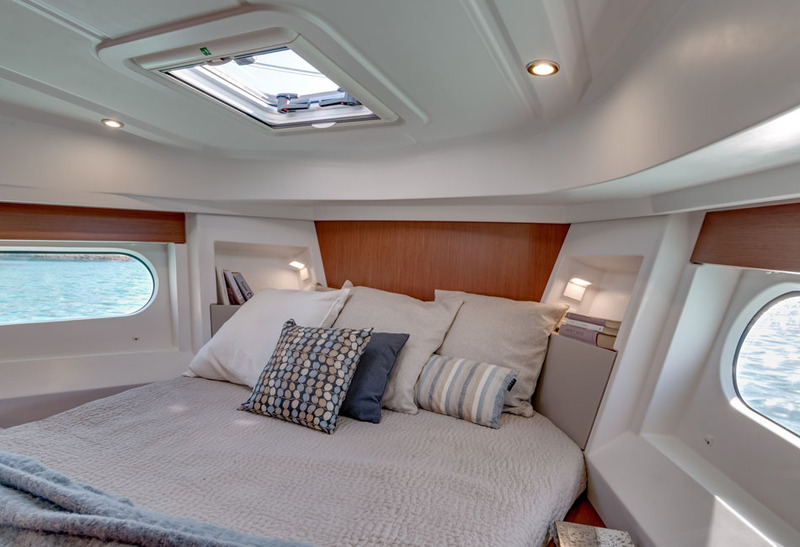 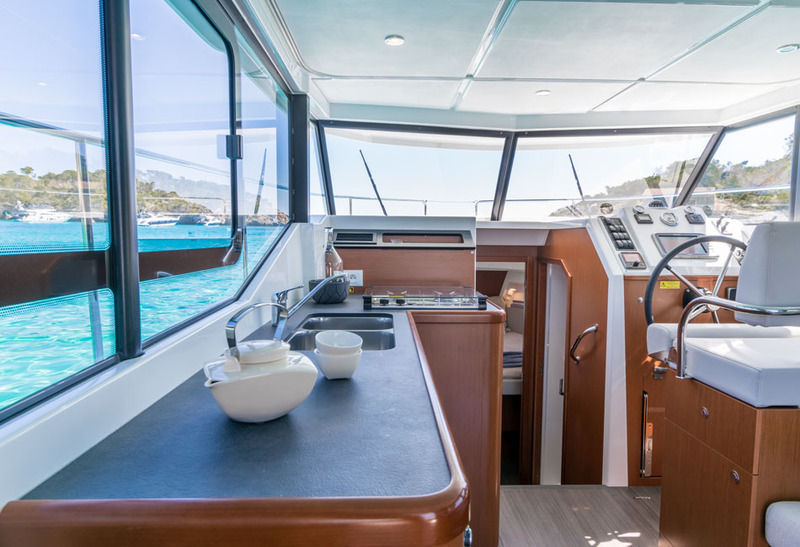 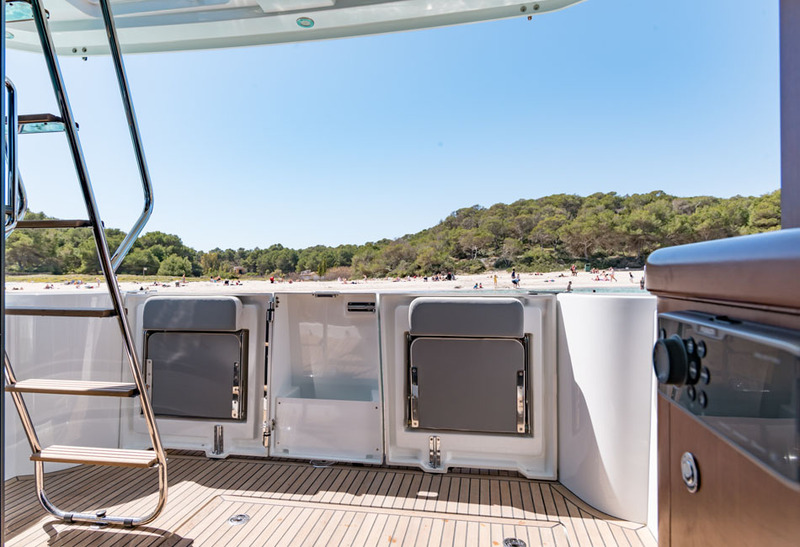 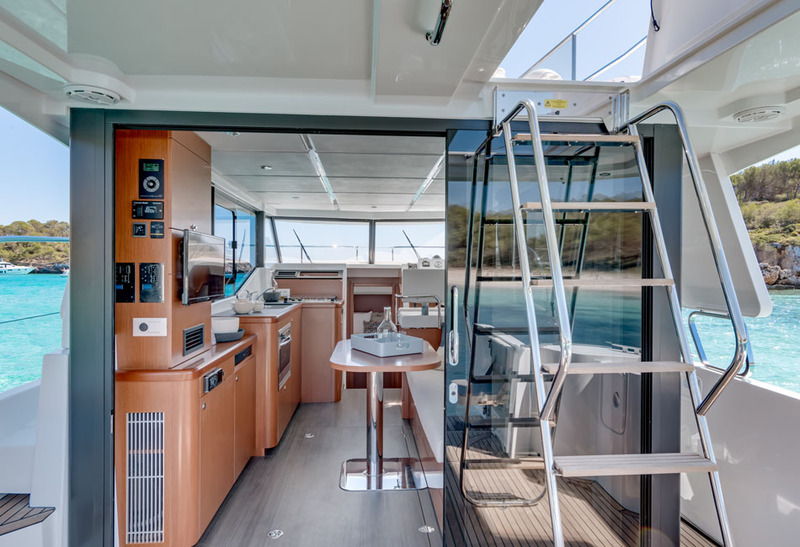 The flybridge is an independent living space and her rear cockpit transforms into a terrace that overlooks the sea. 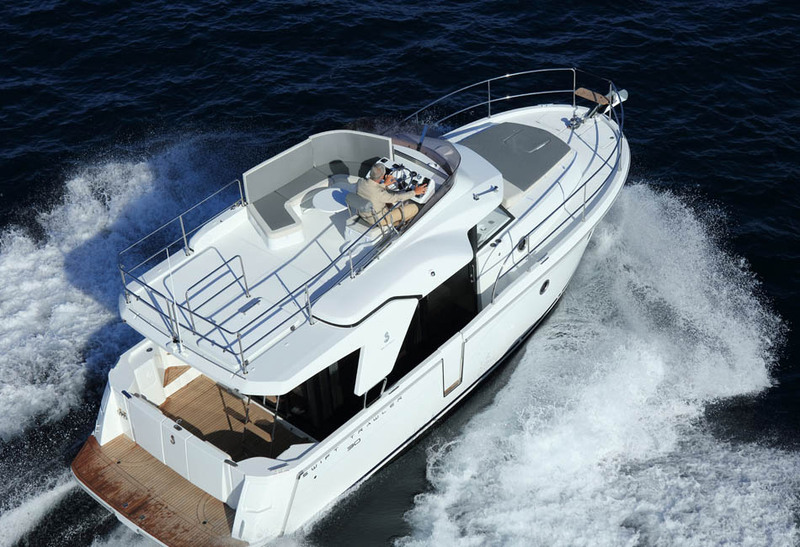 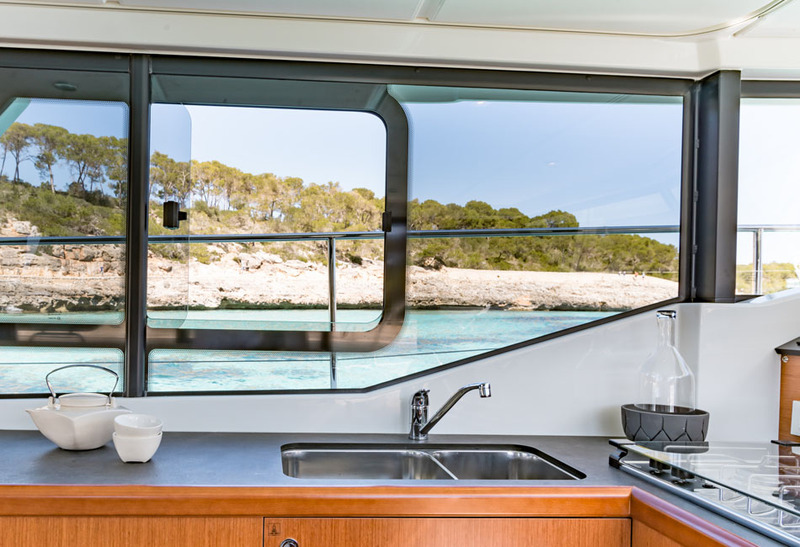 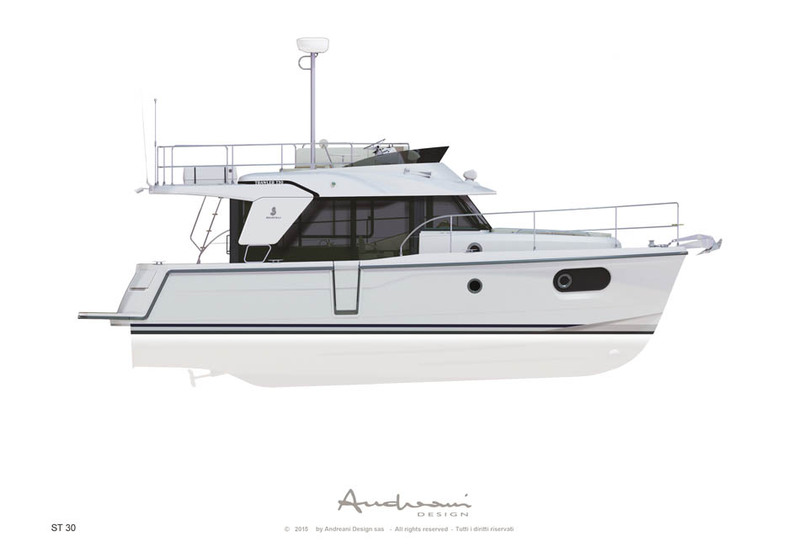 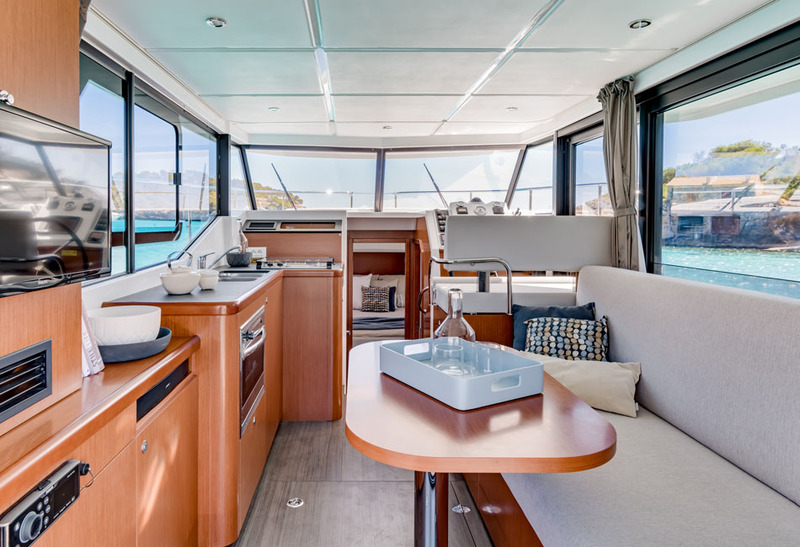 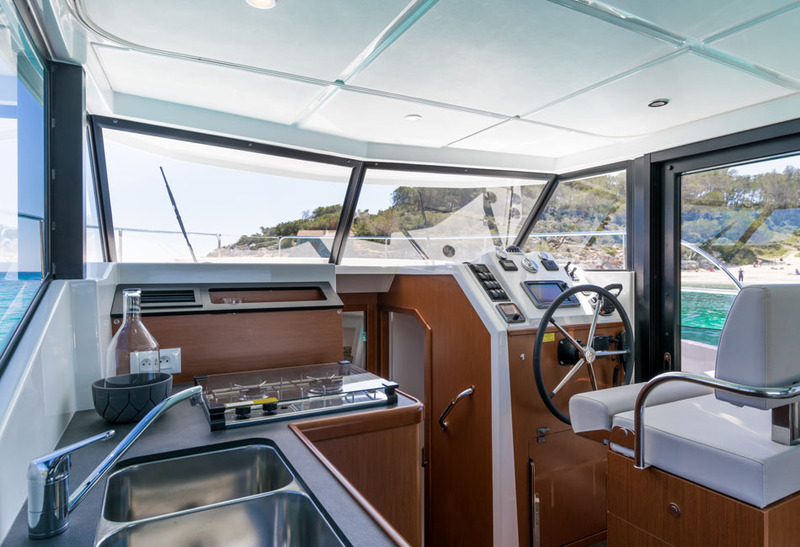 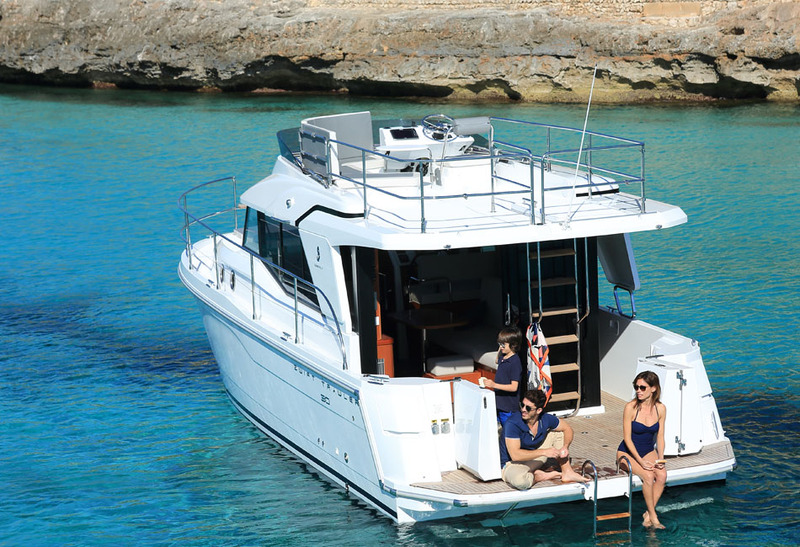 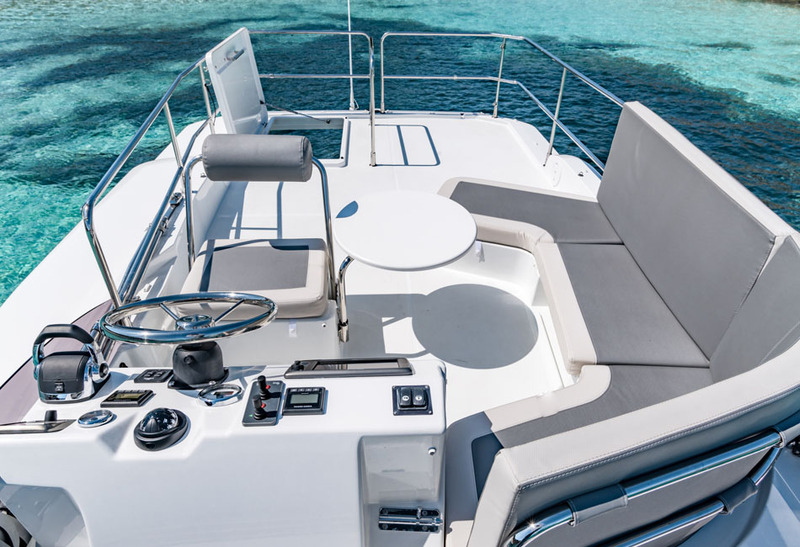 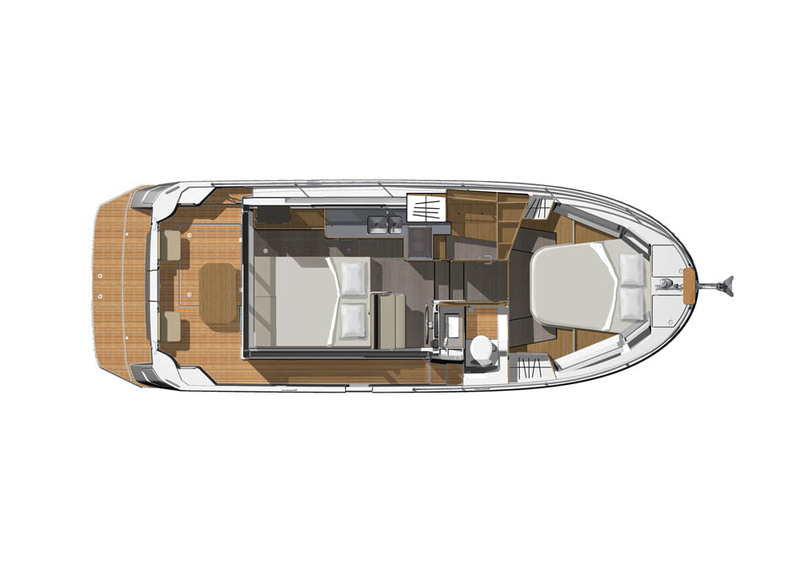 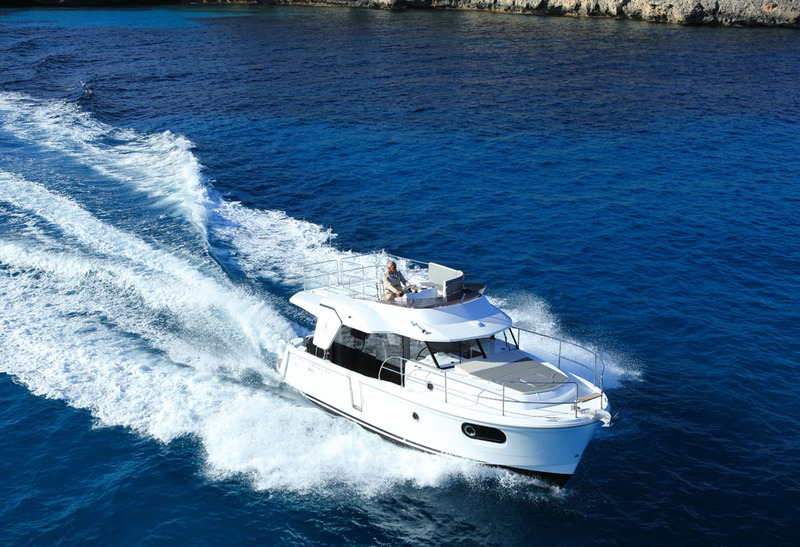 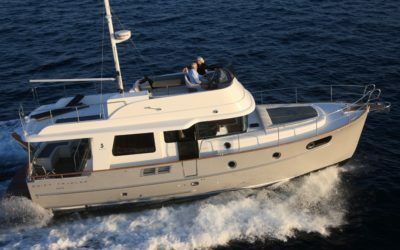 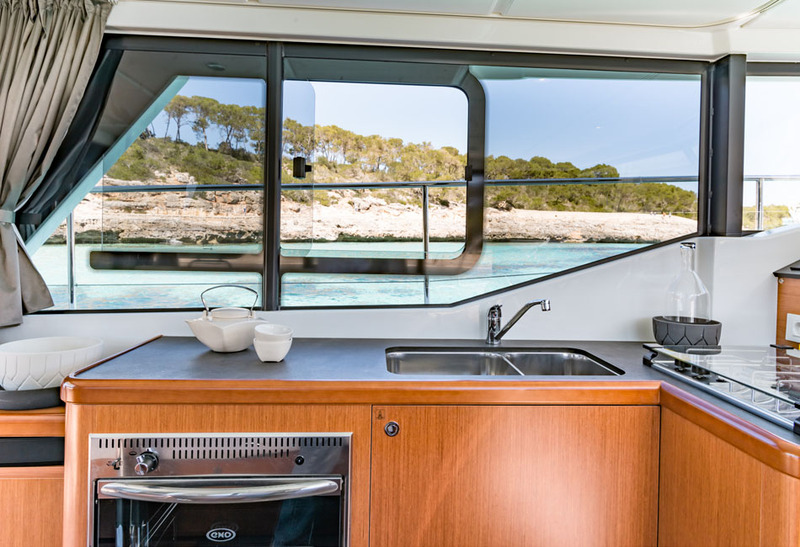 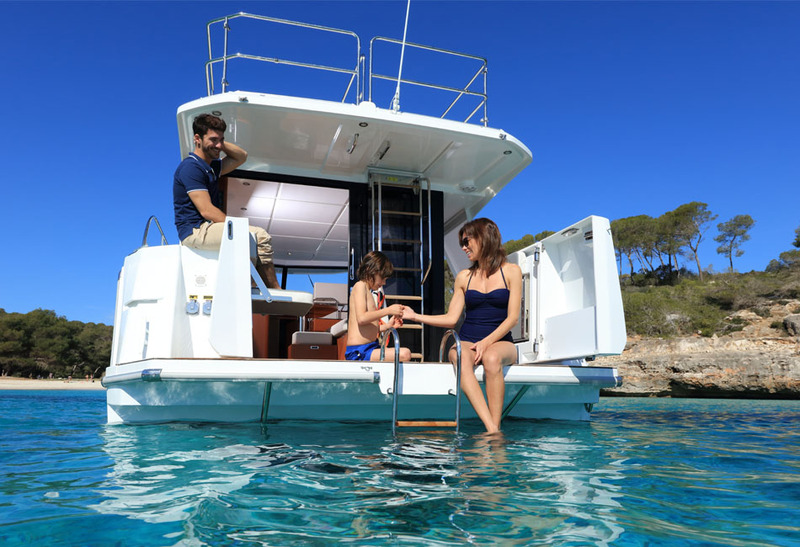 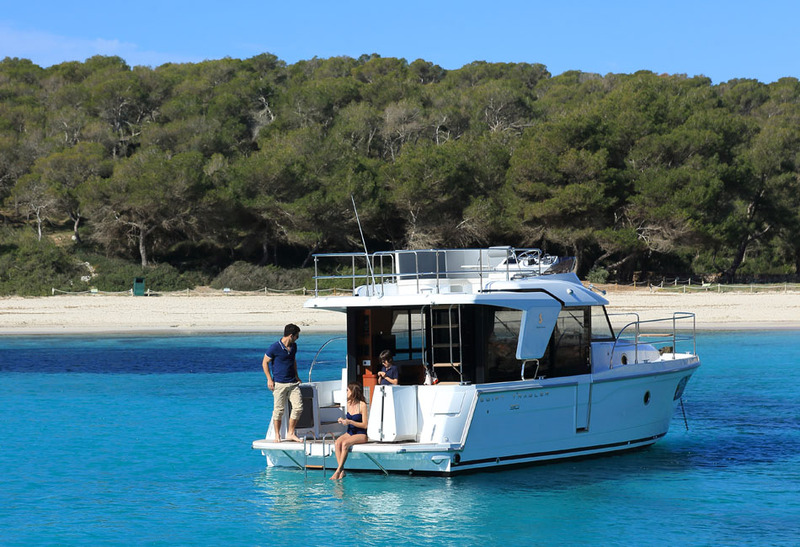 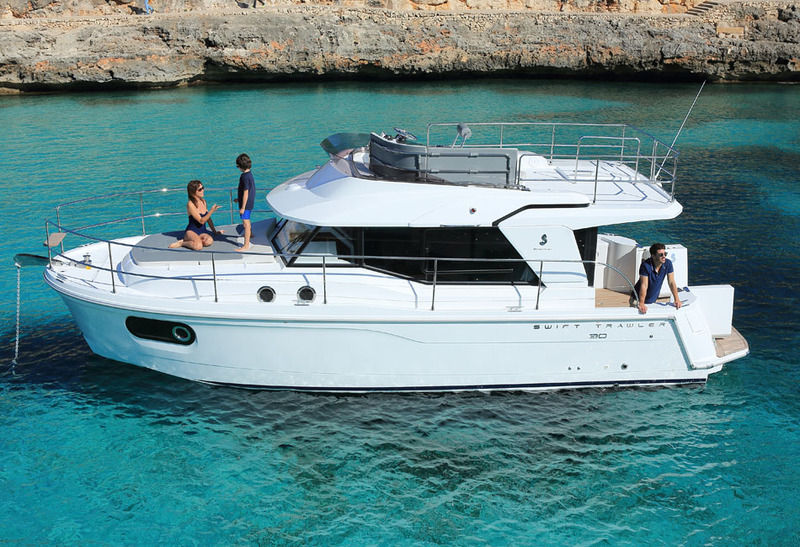 The Swift Trawler 30 offers generous space while maintaining versatility. 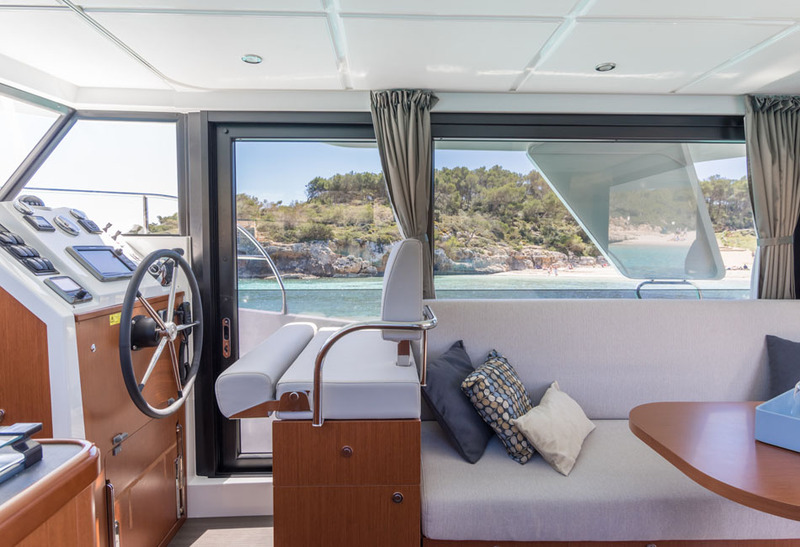 Layouts can be transformed to various configurations with convertible sofas, foldaway seats, and a hideaway table to increase space.